David Murray (Tenor Saxophone, Bass Clarinet) was born in Oakland, California in 1955. He grew up in Berkeley and studied with Catherine Murray (organist and David's mother), Bobby Bradford, Arthur Blythe, Stanley Crouch, Margaret Kohn and many others before he left Pomona College (Los Angeles) for New York where he moved in 1975. In New York he met and played with Cecil Taylor, who along with Dewey Redman gave the young musician the encouragement he needed. The city would again be a source of new encounters, with people and with music from all horizons: Sunny Murray, Tony Braxton, Oliver Lake, Don Cherry. In Ted Daniel's Energy Band he worked with Hamiet Bluiett, Lester Bowie and Frank Lowe. 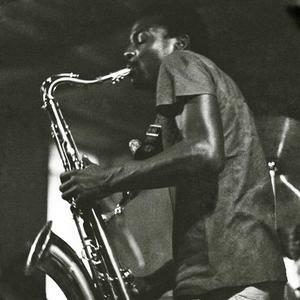 In 1976, after an European tour, David Murray set up the first of his mythic groups, the World Saxophone Quartet, with Oliver Lake, Hamiet Bluiett and Julius Hemphill. This marked the beginning of an intensely creative time, when one recording led to another, with an endless permutation of formations. From Jerry Garcia to Max Roach and from Randy Weston to Elvin Jones, David Murray worked as widely as possible until 1978, when he set up his own quartet, then octet and finally his quintet. From this time on his focus has been more on his own formations, although he frequently works with other musicians, drawing in a whole range of different sounds, from strings (the 1982 concert at the Public Theatre in New York), to Ka drums from Guadeloupe (Cr?ole in 1998 and Yonn D? in 2002) and South African dancers and musicians (Mbizo, 1998), just some of the treasures he has discovered on his journey David Murray's awards include : a Grammy and several nominations; a Guggenheim Fellowship; the Bird Award; the Danish Jazzpar Prize; Village Voice musician of the decade (1980s); Newsday musician of the year (1993); personality of the Guinness Jazz festival (Ireland, 1994); the Ralph J. Simon Rex Award (1995). Two documentaries have been made about David Murray's life: "Speaking in Tongues" (1982) and "Jazzman", nominated at the Baltimore Film Festival (1999).